This course explores the creative dialectic – and sometimes conflict – between sociology and urban policy and design. Topics include the changing conceptions of “community,” the effects of neighborhood characteristics on individual outcomes, the significance of social capital and networks, the drivers of categorical inequality, and the interaction of social structure and political power. Students examine key theoretical paradigms that have constituted sociology since its founding, assess how and why they have changed over time, and discuss the implications of these shifts for urban research and planning practice. 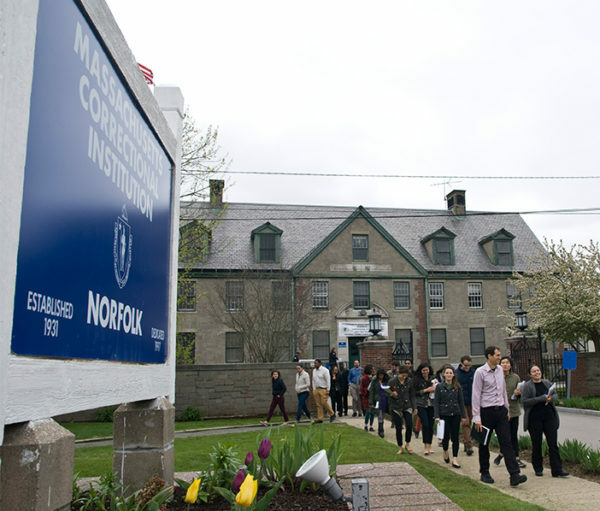 This seminar took place at the Massachusetts Correctional Institution in Norfolk, MA, with half the class from MIT and half of the class from MCI Norfolk via the Boston University Prison Education Program. The location and composition of the class was based on the belief that bringing together students of sociology and urban studies who are incarcerated with those who are at MIT would create a unique and valuable environment in which to generate new knowledge about our social world and the repeated mechanisms that contribute to persistent socio-economic inequality and other pressing social problems. I served as Professor Justin Steil’s Teaching Assistant for the course during its first iteration in 2016, and helped design the syllabus, prepare lectures, and develop activities that would allow the two groups of students to build trust and learn from one another. In 2018, I was a co-instructor of the course. Our reflections on the experience, as well as the syllabus and class materials can be found on MIT OpenCourseWare. The course was also featured on MIT News.